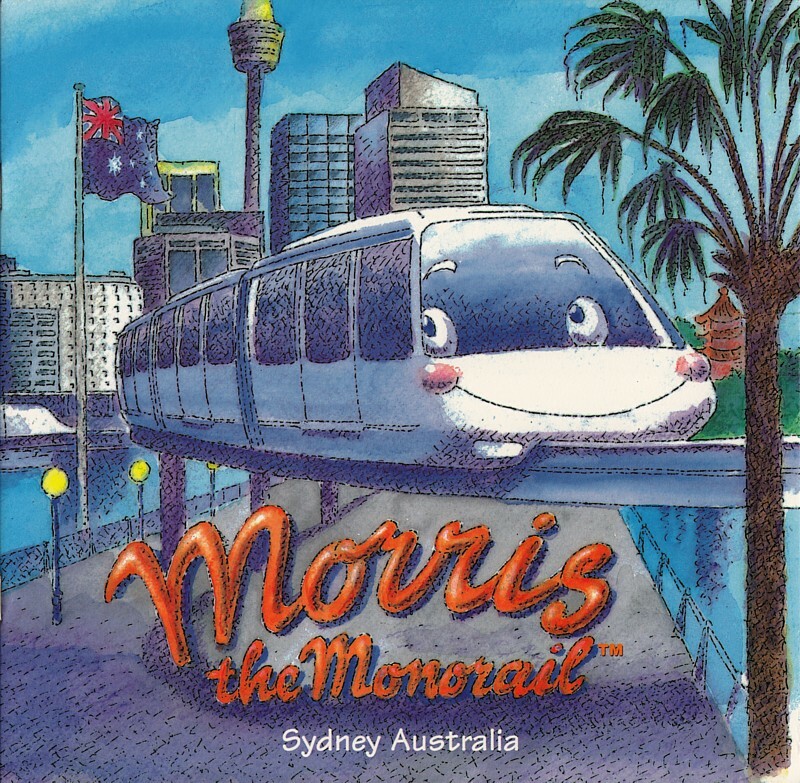 In Book One, Morris the lovable but mischievous Monorail, introduces children to some of the wonderful people and sights of Sydney. 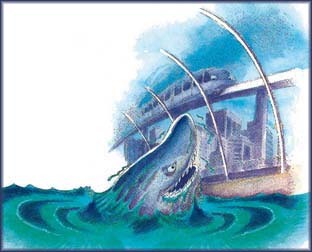 Here is an Illustration from Book One. Book 1 - Available Now at all Sydney Monorail Stations and Darling Harbour Tourist Outlets or Click on the Buy It Button. He meets an old sea captain who shows him what life in Sydney Harbour was like in the days of sailing ships. Like Book one it is a beautifully illustrated story for children 3 - 7 years of age. The Books cost just US$6.50 each plus US$2.25 for packing and airmail postage.